For months we’ve been struggling to make my book as available as possible. 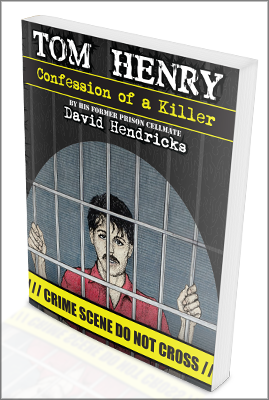 As of yesterday another piece fell into place when Tom Henry: Confession of a Killer became available on Apple’s iTunes store. So now, when you click on the “Buy the Book” link anywhere on my website, www.authorhendricks.com, you’ll be presented with a menu of selections. If you want to download the ebook, you can do so from Amazon, Barnes&Noble, iTunes, Smashwords, and Kobo. Whether you have a Kindle, Nook, Sony, or any other kind of electronic reader, there are choices available for you. No matter which you choose, the price will be $2.99. If you’d rather hold a printed book in your hands, you can purchase the paperback from Amazon, Barnes&Noble, and diesel eBook Store. The paperback price is $11.99, but it sells at prices ranging from $8.98 to $11.99. I don’t understand their pricing algorithms, but I’m pleased when vendors choose to discount my book. If you’re one who likes to try before you buy, you can read part of the book for free on your computer or e-reader. From www.authorhendricks.com you can download the first 50+ pages in Kindle, Nook (ePub) or PDF formats. That free download begins with the Forward. Or, you can sample the book for free from Amazon. Just go to their page where Tom Henry is offered and click on “Send Sample now.” It’s been a while since I looked at it, but I believe their sample starts with Chapter One and extends farther into the book. There is still no audio book of Tom Henry available, but the writing of this very blog was interrupted by a phone call from a professional book performer, who will send me follow-up information. So we’ll see what the future holds in that regard. I’m still waiting on news of the results of Henry’s recent Parole Board hearing. I’ll let you know what I know when I know it.